Those candidates who will declared qualified in 29 December 2013 ssc stenographer written exam they will be call for skill test in stenography. 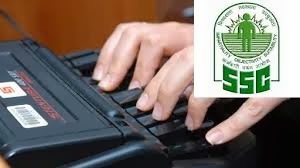 Mexam.IN brought few important information regarding Skill Test of Stenography for SSC Stenographer recruitment for Grade C and Grade D posts which are as are follows..
All matter which will be used for Skill Test for stenography will be transcribed on Computer only. Nature of Skill Test will be qualifying nature so candidates are required to qualify the skill Test only and marks are not so much important . All qualified candidates in written exam are required to participate in skill test and no candidates will get any relaxation from Skill Test. Each candidate will be given a dictation for 10 minutes time Duration. This dictation will be in English or Hindi language. Candidates are required ensure the 100 w.p.m. for the post of Stenographer Grade ‘C’ and 80 w.p.m. for the post of Stenographer Grade ‘D’. In case candidates had not given any language preference for Stenography test then Test will be taken in English language and candidates will not be allowed to change the medium at subsequent stage. VH candidate will get 75 minutes for transcribed the given Matter for English shorthand and 100 minutes for Hindi Shorthand for the posts of Stenographer Grade D and 70 minutest for English, 95 minutes for Hindi Shorthand test for the posts of stenographer grade C .
Date of Skill Test Yet not announce official but most probably it will be publish during the declaration of exam results . Mexam.IN will inform you here when results will be publish and dates will be announced.